Malo e lelei. My name is Mrs. Sela Liu and I currently teach Year 8 in Room 3. I feel blessed to be at O.I.S. and to have had the privilege of educating youth for 28 years now. I love teaching and am intrinsically motivated daily when I observe and witness making a difference in students’ learning and well-being. It is with pride that I oversee Kowhai Syndicate, and I feel that my strong listening skills and patience help students as they strive to achieve our school’s vision of Excellence for All. 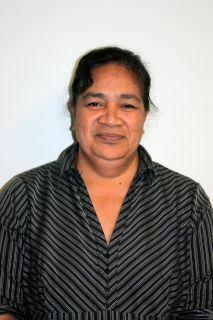 I moved from Tonga in August 2004, and have been working at Otahuhu Intermediate for the last 8 years. Outside of school, Church and my family keep me on my toes, especially watching my family grow with my gorgeous grandchildren.